MOSCOW. April 1 (Interfax) – The outcome of the first round of the presidential election in Ukraine shows that voters are tired of the atmosphere of hatred and have a demand for a solution to vital internal problems, Alexei Chesnakov, Director of the Center for Current Politics, said. “The results received are a call on the political elite to stop being hysterical, to calm down and get to work on real problems of real people. Get to work on the housing and utilities sector, not tomi; on healthcare, not on NATO; on peace, not war. 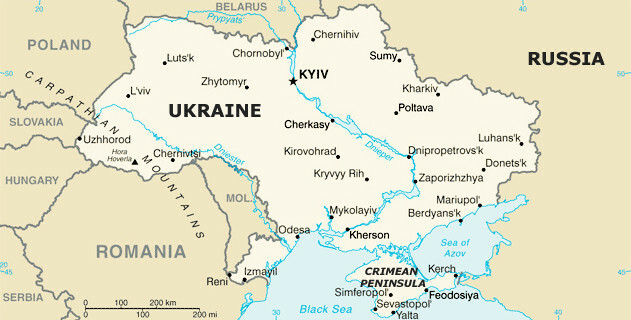 And finally, start working on Ukraine, not on America,” Chesnakov said. The result demonstrated by incumbent President Petro Poroshenko in the first round should be regarded as a defeat, he said. “The humiliatingly low result achieved by Poroshenko in the first round confirms that the people of Ukraine are tired of their crazy policies and hysterical statements. Petro Poroshenko apparently doesn’t have anything left except for sick, maniacal hatred of Russia. He said he was going to defeat Russian President Vladimir Putin in this election. Well, by this logic Poroshenko has lost to Putin. Only a miracle can save him in the second round. But a miracle isn’t going to happen,” Chesnakov said. In the meantime, Chesnakov said the positions of candidate Volodymyr Zelensky in the first round are rather strong. “Volodymyr Zelensky has won simply because he behaved like a normal, mentally sound person. I think the United States should be very disappointed by the result of the person on whom they had a big stake. They invested too much energy in Poroshenko. But even demonstrative posing and selfies with Kurt Volker on a U.S. minesweeper in Odesa didn’t help. The Americans are clearly going to cozy up to Zelensky now,” the expert said. The new president of Ukraine will need to find a compromise with Donbas, the expert said. “As for the prospects of peaceful settlement under the future president, the people of Ukraine should read the Minsk Agreements attentively once again and start full-fledged, serious dialogue with representatives of the DPR and the LPR,” Chesnakov said. Volodymyr Zelensky received 30.25% of the votes and incumbent President Petro Poroshenko got 16.54% of the votes after 55.5% of the protocols were processed. Batkivschyna party leader Yuliya Tymoshenko got 13.09%.